Northside parents expressed interest in a K-8 STEAM program, said AAPS Superintendent Dr. Jeanice Swift. STEAM stands for science, technology, engineering, arts and math. Students will use technology in order to complete projects that combine lessons in different subjects. Each student and staff member will be provided with a device, such as a tablet or laptop. The program could attract more students in the area. With 185 students, Northside is at 35 percent occupancy this year. The building can accommodate up to 500. Current Northside students have the option of being grandfathered into the program or choosing to attend another AAPS school. Teaching staff also have the option to work in the new program or at another AAPS building. “Getting STEAM into a K-8 program would be unique,” Dr. Swift said when she first presented the idea to the BOE at its retreat last week. Few elementary programs across the country feature a focus on STEAM education. Toyota is also interested the upcoming STEAM school at Northside, Dr. Swift said. Toyota has worked with the district on a pilot STEAM program and this summer the company sent AAPS teachers and administrators to Singapore to learn more about STEAM initiatives. The Pathways to Success Campus will serve as headquarters for the district’s alternative programs. Students who currently attend Roberto Clemente, A2 Tech, Adult Education, the GED and Options Program will still be enrolled in their current program, but will attend classes at the A2 Tech building. Housing the programs together in one building “means we are committed to giving them more,” said Dr. Swift, such as media specialists, social workers, and health services. All Pathways students will be assigned a device after completing 10 credits in their program. All Bryant and Pittsfield kindergartners and first graders will have a device, such as a tablet or laptop, exclusively for their use during the school day. Administrators hope that instituting a 1:1 program will attract students at the two schools, which have seen lower enrollment in recent years. 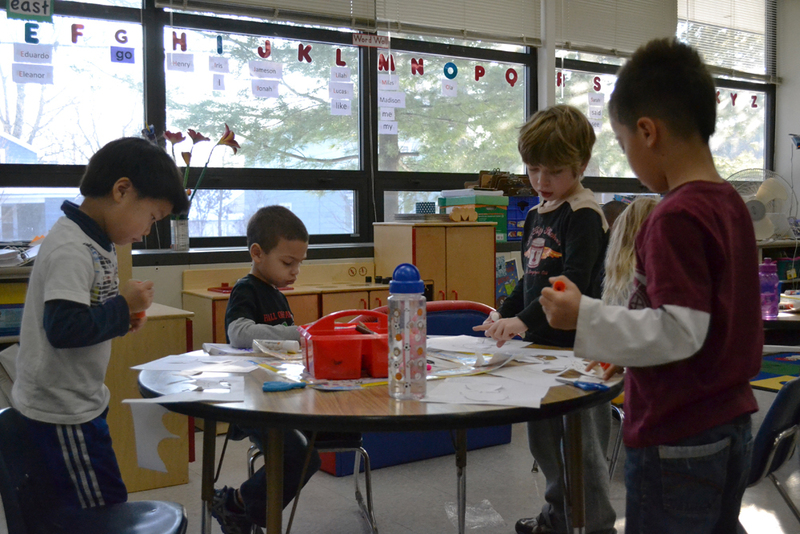 Thurston and Allen will each offer two preschool classes next fall. The tuition preschool and Great Start Readiness Program, which is fully funded by the state, will share seats in both classes. Because all GSRP slots would likely be filled, the tuition-based program would be able to exist. One potential difficulty of a tuition-based-only preschool program is the possibility of not filling all of the open spots. Abbot currently offers a half-day Young 5 program. The district will offer a full-day Young 5 program at Abbot and a few other AAPS elementary buildings, which will be determined at a later date based on availability. The Young 5 program provides a wide variety of activities that help students adjust to the school environment and working with other students. The program is provided at no cost to families. Chinese, Mandarin Chinese, Japanese, American Sign Language or Arabic will be available at select elementary schools starting in the 2014-2015 school year. The A2 Virtual+ Academy will offer a full range of online courses starting in Fall 2014 to students in grades 5-12. The primary goal is to provide students access to online and extended learning options in order to develop a personalized learning path. The Academy features AAPS online courses and courses provided by Edgenuity and Michigan Virtual School. Students can take up to two online courses per academic year and the courses are supported by a certified teacher. A2 Virtual+ Academy courses are free for AAPS students and are available at a cost for out-of-district students. All comments will be approved and moderated. Please see the new AAPS News Commenting Guidelines. Is there any indication of when/if they’ll host info sessions for Northside? Charter school decisions will need to be made within a month, and for conscientious parents that would specifically choose to go with Northside would want/need details to change their course from non-AAPS schools. Yes, private schools too want their contracts returned by March 1. It’s going to be important to have info sessions soon, and at least some semblance of a curriculum and proposed materials (books) that will be used in classes. Parents are going to want to know about options for foreign languages and athletics too, particularly for the middle schoolers. In addition, will the school start with all grades, or have a staggered opening like Skyline had? I can envision good arguments for starting with all grades, even if some, such as 7th and 8th, are smaller than they will ultimately be. Will the expansion of Young Fives open up the age range? For example, would children that turn five in November be eligible? Any word on what will happen to the Clemente building? It would be wonderful to see it re-purposed as a neighborhood elementary or middle school to serve the SE part of the AAPS district, East of US-23 and South of Michigan Ave. Students in that area are currently bused to 3 different elementaries, and then all the way to Scarlett for Middle School. Also great would be to create middle school for high achieving students. AAPS currently has very little to challenge our brightest students until they reach high school. Is there any way to know which elementary schools are in consideration for World Languages and Young 5s? How can parents lobby to see these programs at their schools? These are wonderful expansions, but I would also love to see an arts magnet program. If you have any questions, please feel free to call 994-2200. Thanks for reading the AAPS News! Just to max up the accommodation of 500 at one location as a k-8 STEAM school does not seem reasonable. Such resources can be spread to all AAPS, instead. Like starting all 5th grade to 8th grade, STEAM program is introduced at every AAPS for at least selected areas. Or, choose 2-3 places to ease up the commuting. It would have to be a growing project including staff training for that purpose as well, along with huge curriculum changes at Universities in the community. A series of info. meeting seems a must. Adrienne, I just talked with the AAPS Executive Director of Elementary Education, Dawn Linden. She is working as fast as possible to determine which elementary schools would be see the addition of World Languages. She has to analyze which schools will have the space and availability next fall, as well as staffing and all sorts of other considerations. She is planning on having some solid answers figured out within the next few weeks. I can tell you this: The second we have some solid plans about World Language next year, parents will know! We will send out all-parent email, we’ll share it on here news site and the district site, and we’ll even announce it on our Facebook page. Thank you for your patience as we work some big changes into our schools for next year. And thank you for reading the AAPS News! And how do u pick which students are eligible. AAPS just closed the first Schools of Choice window for students who live outside the AAPS district. We have had such a large interest in the K-8 STEAM program that for the second Schools of Choice window, starting May 5, we will not have room to offer this program beyond the district boundaries.